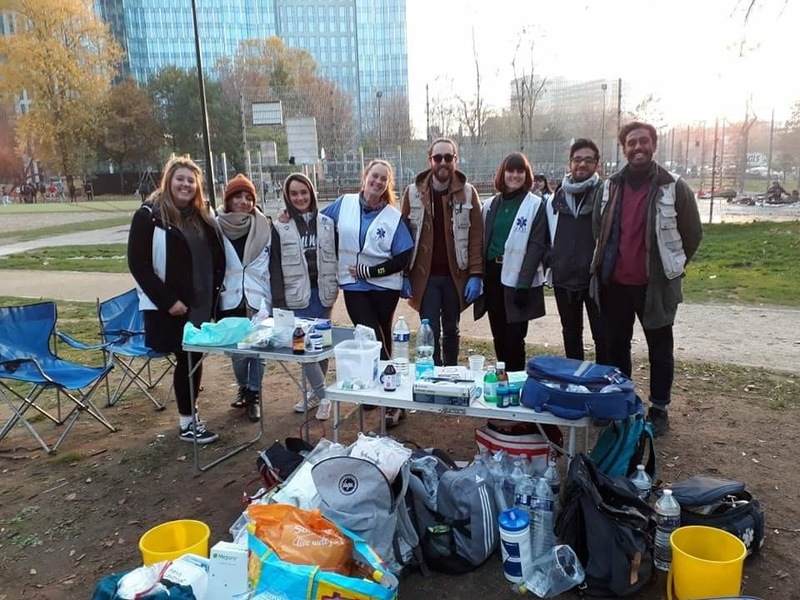 FAST (First Aid Support Team) is an organisation made up of health professionals from all over the world working across Calais and Dunkirk. We provide first aid, first aid kits, and assist patients to access appropriate (emergency) healthcare. We also organise first aid training for both volunteers and displaced people. FAST runs solely of volunteers; both coordinators working from home and volunteers in the field. People all over the world have been massively generous in their support of displaced people but there is still so much work to be done, with new people arriving daily. Please help us by making a donation to help displaced people . People who need first aid can count on us. We try to do our best to provide basic care to all displaced people who need us. FAST is solely based on volunteers, in the field, the board and in the coordination team. Therefore, the resources we gather are only spend on helping displaced people. We provide first aid education to volunteer groups and give training to displaced people. We believe that it is important that everyone has the capability to deal with medical emergencies. When the media is gone and big aid-groups leave, often there is still a need for basic care. We stay until basic care is secured for everyone. Our services are developed through our own experiences and knowledge from others. We learn and higher our standards every day. Kind people from all over the world have been helping us to provide aid. We cannot do this without you. A small gift can make a great impact. We can only continue our services with the help of our amazing volunteers. We are always searching for new people who can join our team.